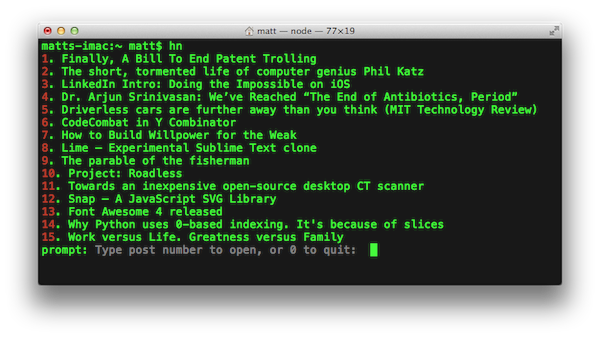 Hacker News in your terminal! If you're anything like me, you visit Hacker news at least 4 times a day and you spend a lot of time in the terminal. I usually open the Hacker News site in my browser and decide if any of the headlines catch my attention, I thought it would be cool if I could see a summary of the new featured posts in my terminal and only open them in a browser if I wanted to read them, so I made this simple tool. 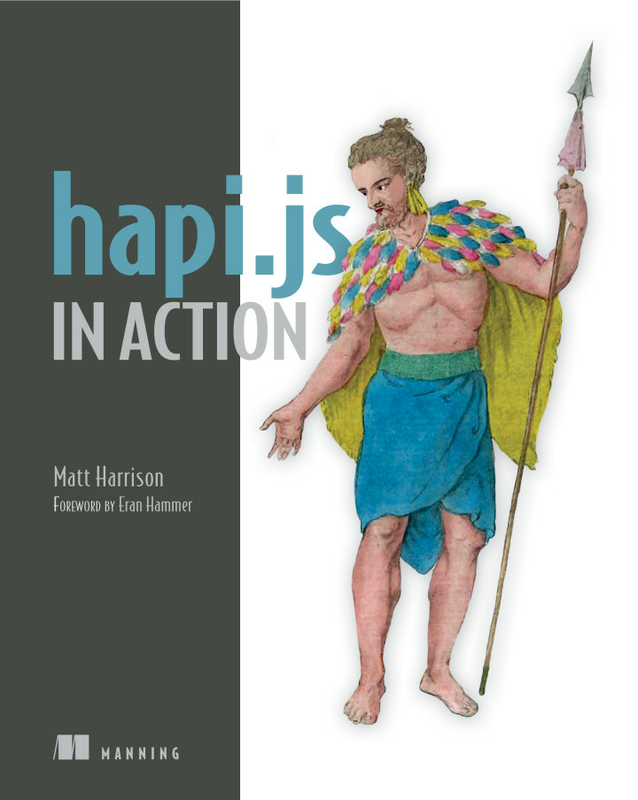 Before installation you will need node/npm installed. You will then be prompted to open a post. Type the number of the post to open a post or type 0 to quit and return to your terminal session.